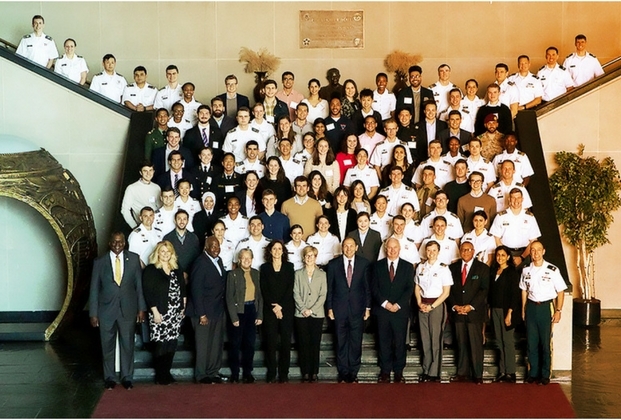 2018 McDonald Conference for Leaders of Character at the United States Military Academy (USMA), West Point. At the Engineering Leadership Institute (ELI), we believe in helping prepare the next generation of engineers by providing the Herbert Wertheim College of Engineering (HWCOE) students with a well-rounded education, and pivotal opportunities to meet with other students and practicing engineering leaders from around the world. At the Herbert Wertheim College of Engineering, we are committed to immersing our students in top external engineering leadership mentoring forums. Only students who have demonstrated the highest potential in engineering leadership are considered and selected to participate in these forums. They are typically among the top students academically within their Department, and they hold an active leadership position in one or more of the engineering student organizations on campus. Participation and performance in the ELI curriculum will also be a consideration. If you are interested in being considered at one of these premium leadership mentoring conferences, please contact sbracero@eng.ufl.edu. Click below to learn more information about each conference.